I know I said this blog was about cook-books but hey it’s mine and I can change the rules, right? I found the idea for the cake in an old edition of BBC Good Food Magazine – the sponge is very easy and I decorated it with butter icing rather than chocolate. 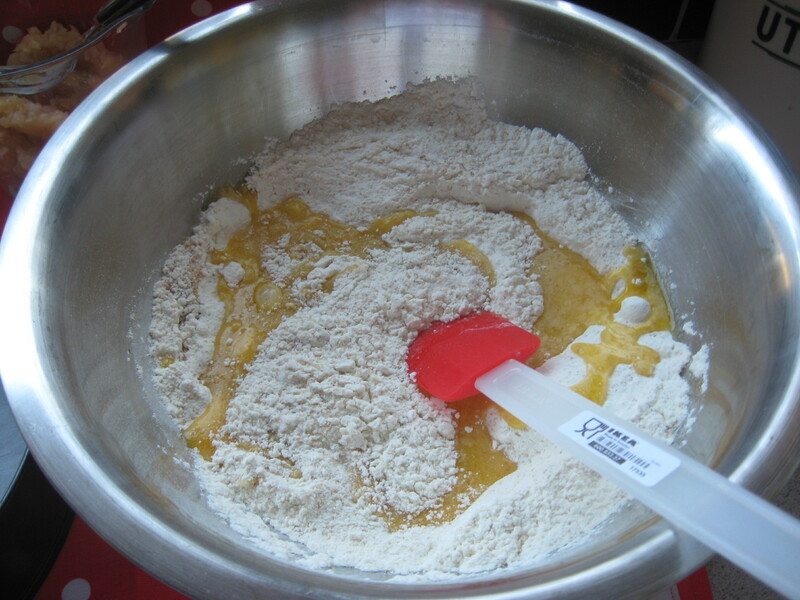 In a measuring jug mix together the milk and oil and lightly whisk in the eggs, then add to the dry ingredients and mix to a smooth batter. Pour cake mix into a lined cake tin (20*20*5 cm). Bake in preheated oven for 40 mins until firm to touch. Allow to cool in tin for 10 mins before turning out. For the ‘headstones’, pour the cream in to a small saucepan and bring to just ‘below the boil’. Pour over the chocolate and stir until the chocolate melts. Use a pastry brush to paint the chocolate onto the rich tea biscuits and leave to cool. 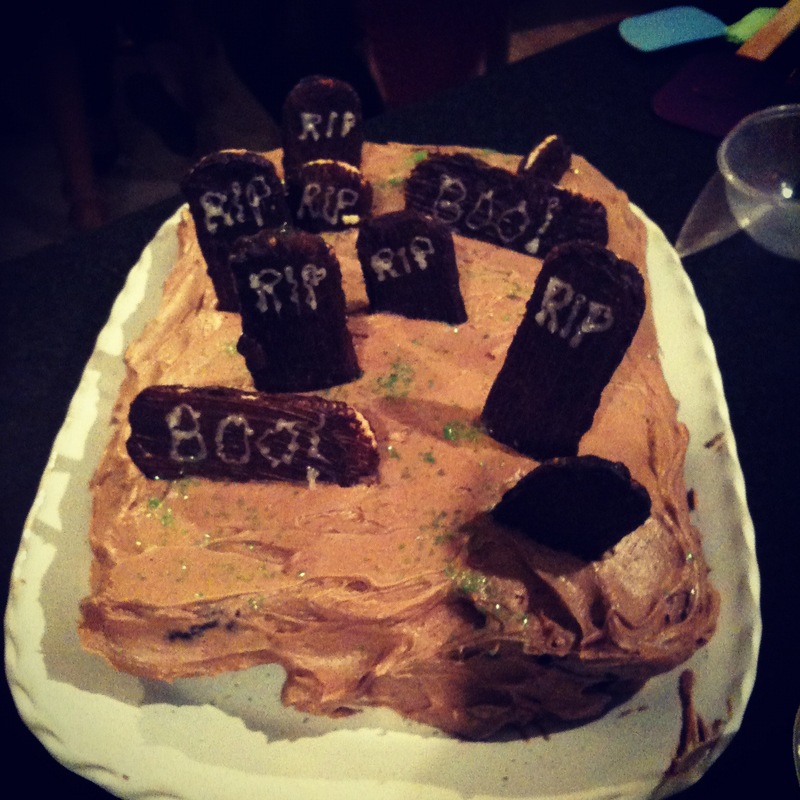 Decorate the cake with butter icing, ‘headstones’ and lots of imagination! My next challenge is to try the meringue ghosts to attach to the headstones! 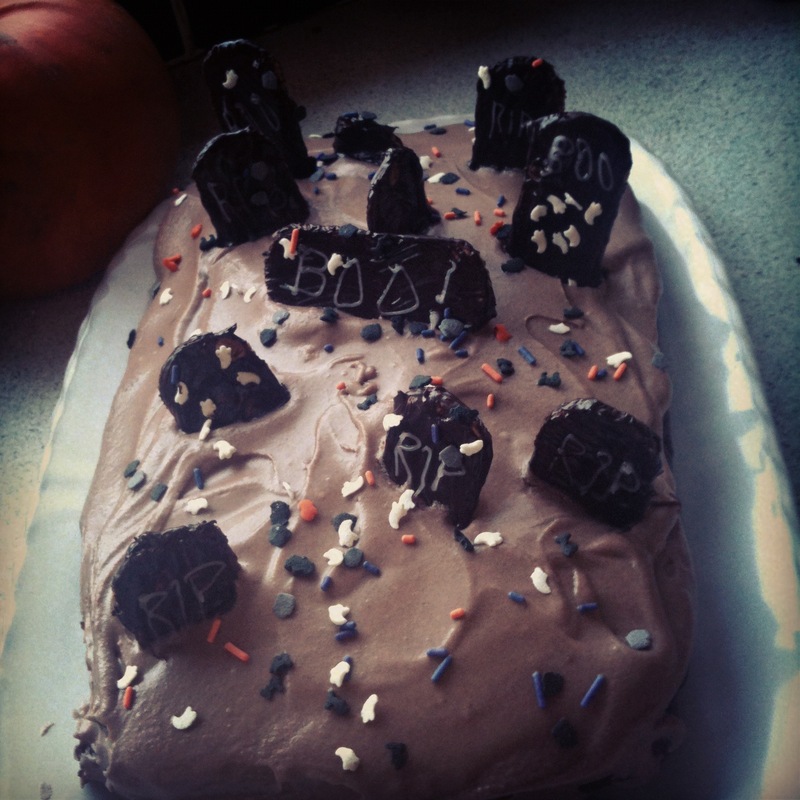 I hope my nieces and nephew like it next weekend – It will be interesting to see how they choose to decorate the cake! PS for anyone who worked in Louise’s this is a simpler method of the famous ‘oil cake’ – you don’t have to separate the eggs! Okay so I finally started a blog and decided on a theme – now my dilemma was which cookbook got to open the show! Thanks for all your suggestions and I will get round to them all I promise – even to Hugh (eventually….) ! This book was a Christmas present from my sister after my time in Ballymaloe Cookery School and her inscription ‘to the petite chef with the big ideas’ still makes me smile! The splashed pages and the handwritten notes will convince you that this is one of the workers in my collection – I love the Rhubarb & Honey Compote, and her sweet & sour red cabbage is a Christmas must. In the introduction the book is described as ‘a record of a year’s cooking in a country kitchen – but with a modern twist’ . This is borne out in recipes such as ‘pot-roast pork with star anise, ginger. tamarind and port’ or ‘cauliflower with sundried tomatoes, garlic and capers’ . The book is laid out by season with beautiful photographs and informative notes on ingredients. The recipes are well laid out and easy to follow and most importantly they work! My biggest peeve is that it doesn’t have a photograph for every dish – I like to know what I’m aspiring to! My favourite and most used from this book is Sophie’s recipe for ‘Gooseberry Sauce Cake’ – simple and quick and adaptable for most fruits. 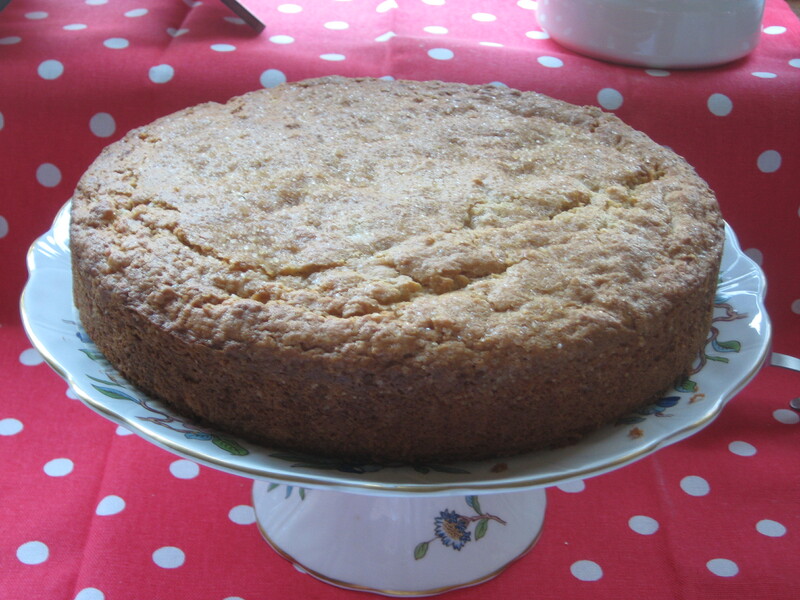 I’ve tried it with gooseberries, rhubarb, plums and most recently with apples and the result is a lovely moist cake everytime! Firstly stew your fruit – I used a mix of sweet and cooking apples as I like the difference in texture. Peel, core and chop the fruit. Then stew with a little water over a low heat for 20-30 mins. I didn’t use any particular quantities as I froze the rest of the fruit in 1/2 pint portions for future cakes! Fold in the lightly beaten eggs, melted butter and vanilla extract. Finally stir in the stewed apples. 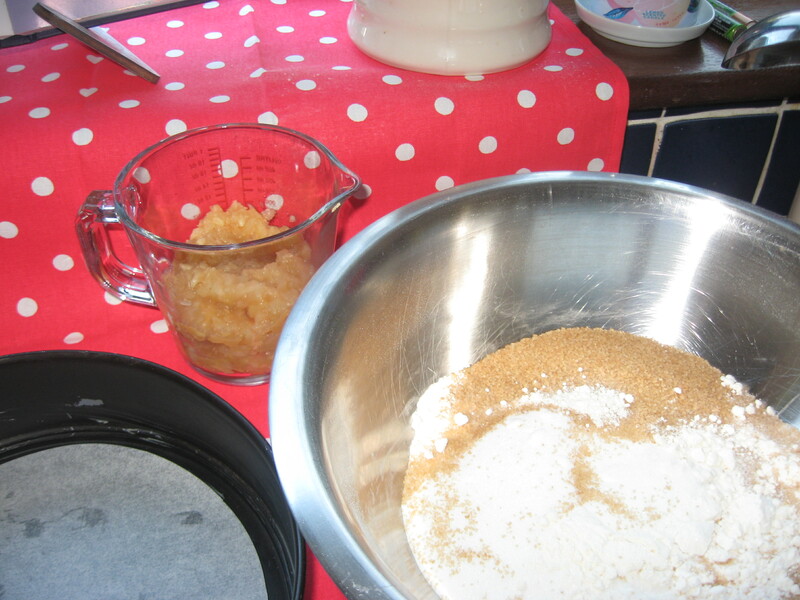 Pour mixture into a lined 9″/23cm springform tin and sprinkle a little extra demerara sugar over the top. Sophie’s instructions are to bake the cake at 180C/Gas 4 for 45 minutes. Having tried it on several occasions it takes 30-35 minutes in my oven at 170C Fan so I’d advise you to check it after 30 mins! 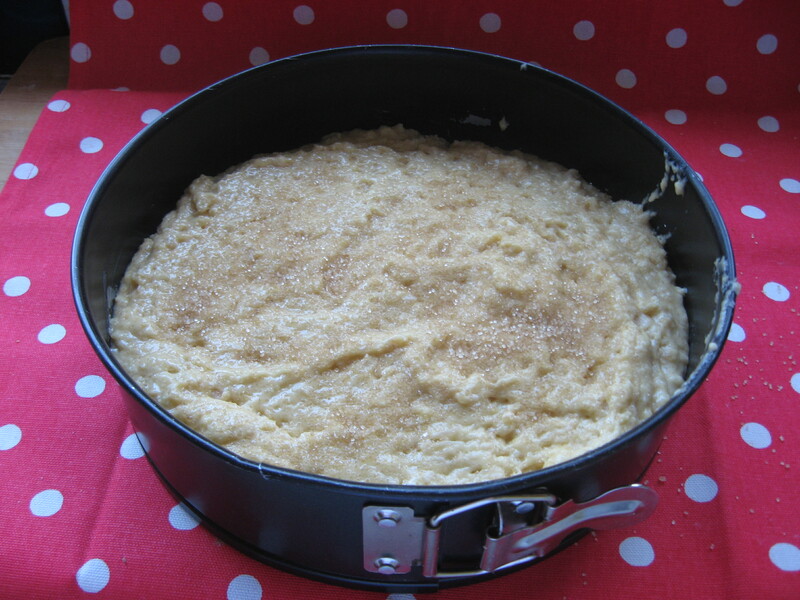 Allow the cake to cool in the tin for 10-15 mins before turning out. Then there’s nothing left to do but serve it with some lightly whipped cream! 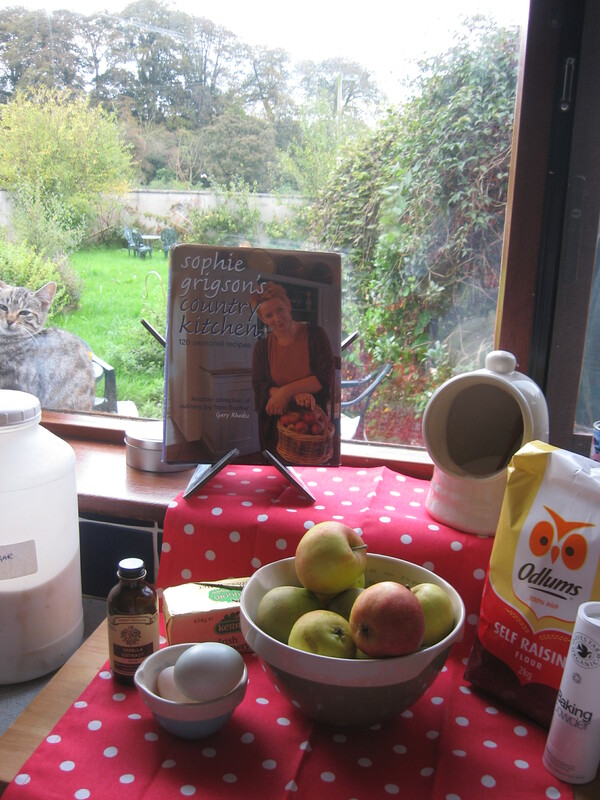 There are lots more recipes in this book that I’ve earmarked to try and as this is the first year my pear tree has produced any fruit next up is Sophie’s fresh pear relish……….